For it is God which worketh in you both to will and to do of his good pleasure. Philippians 2:13. Far more than we do, we need to understand the issues at stake in the conflict in which we are engaged. We need to understand more fully the value of the truths that God has given for this time and the danger of allowing our minds to be diverted from them by the great deceiver. The infinite value of the sacrifice required for our redemption reveals the fact that sin is a tremendous evil. Through sin the whole human organism is deranged, the mind is perverted, the imagination corrupted. Sin has degraded the faculties of the soul. Temptations from without find an answering chord within the heart, and the feet turn imperceptibly toward evil. As the sacrifice in our behalf was complete, so our restoration from the defilement of sin is to be complete. There is no act of wickedness that the law will excuse; there is no unrighteousness that will escape its condemnation. The life of Christ was a perfect fulfillment of every precept of the law. He said, “I have kept my Father’s commandments” (John 15:10). His life is our standard of obedience and service. God alone can renew the heart. “It is God who worketh in you both to will and to work, for His good pleasure” (Philippians 2:13, A.R.V.). But we are bidden: “Work out your own salvation” (verse 12, A.R.V.). Wrongs cannot be righted, nor can reformations in character be made, by a few feeble, intermittent efforts…. The struggle for conquest over self, for holiness and heaven, is a lifelong struggle. Without continual effort and constant activity there can be no advancement in the divine life, no attainment of the victor’s crown. The strongest evidence of man’s fall from a higher state is the fact that it costs so much to return. The way of return can be gained only by hard fighting, inch by inch, every hour. By a momentary act of the will, one may place himself in the power of evil; but it requires more than a momentary act of will to break these fetters and attain to a higher, holier life. The purpose may be formed, the work begun; but its accomplishment will require toil, time, and perseverance, patience and sacrifice. Beset with temptations without number, we must resist firmly or be conquered…. Paul’s sanctification was the result of a constant conflict with self. He said: “I die daily” (1 Corinthians 15:31). His will and his desires every day conflicted with duty and the will of God. Instead of following inclination, he did God’s will, however crucifying to his own nature. God leads His people on step by step. Then said Jesus to them again, Peace be unto you: as my Father hath sent me, even so send I you. John 20:21. We should earnestly seek to know and appreciate the truth, that we may present it to others as it is in Jesus. We need to have a correct estimate of the value of our own souls; then we would not be as reckless in regard to our course of action as at present. We would seek most earnestly to know God’s way; we would work an opposite direction from selfishness, and our constant prayer would be that we might have the mind of Christ, that we might be molded and fashioned after His likeness. It is in looking to Jesus and beholding His loveliness, having our eyes steadfastly fixed upon Him, that we become changed into His image. He will give grace to all that keep His way, and do His will, and walk in truth…. I beseech you whose names are registered on the church book as worthy members, to be indeed worthy, through the virtue of Christ. Mercy and truth and the love of God are promised to the humble and contrite soul…. All heaven is filled with amazement, that when this love, so broad, so deep, so rich and full, is presented to men who have known the grace of our Lord Jesus Christ, they are so indifferent, so cold and unmoved…. The infinite treasures of truth have been accumulating from age to age. No representation could adequately impress us with the extent, the richness, of these vast resources. They are awaiting the demand of those who appreciate them. These gems of truth are to be gathered up by God’s remnant people, to be given by them to the world; but self-confidence and obduracy of soul refuse the blessed treasure. “God so loved the world, that he gave his only begotten Son, that whosoever believeth in him should not perish, but have everlasting life.” Such love cannot be measured, neither can it be expressed. John calls upon the world to behold “what manner of love the Father hath bestowed upon us, that we should be called the sons of God.” It is a love that passeth knowledge. In the fullness of the sacrifice, nothing was withheld. Jesus gave Himself. 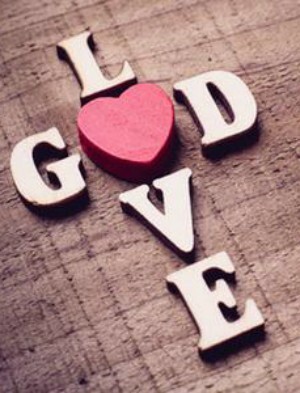 God designs that His people shall love one another as Christ loved us. They are to educate and train the soul for this love. They are to reflect this love in their own character, to reflect it to the world. Each should look upon this as his work…. Christ’s fullness is to be presented to the world by those who have become partakers of His grace. They are to do that for Christ which Christ did for the Father—represent His character. And whatsoever ye do, do it heartily, as to the Lord, and not unto men; knowing that of the Lord ye shall receive the reward of the inheritance; for ye serve the Lord Christ. Colossians 3:23, 24. True education does not ignore the value of scientific knowledge or literary acquirements; but above information it values power; above power, goodness; above intellectual acquirements, character. The world does not so much need men of great intellect as of a noble character. It needs men in whom ability is controlled by steadfast principle. “Wisdom is the principal thing; therefore get wisdom” (Proverbs 4:7). 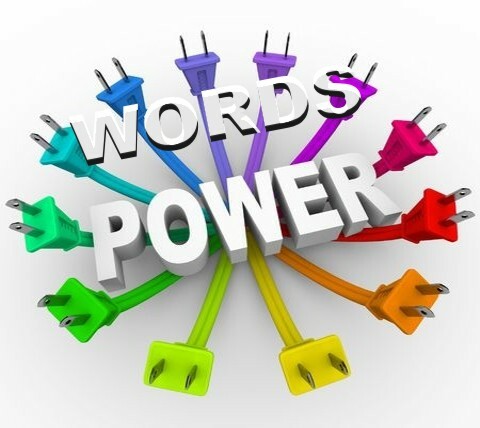 “The tongue of the wise useth knowledge aright” (chap. 15:2). True education imparts this wisdom. It teaches the best use not only of one but of all our powers and acquirements. Thus it covers the whole circle of obligation—to ourselves, to the world, and to God. 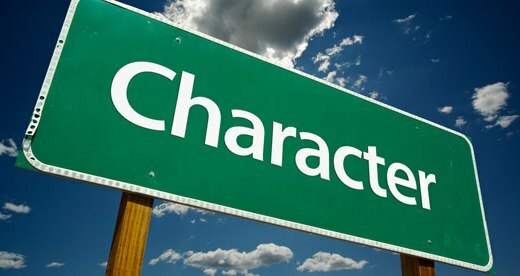 Character building is the most important work ever entrusted to human beings; and never before was its diligent study so important as now. Never was any previous generation called to meet issues so momentous; never before were young men and young women confronted by perils so great as confront them today…. In true education the selfish ambition, the greed for power, the disregard for the rights and needs of humanity, that are the curse of our world, find a counterinfluence. God’s plan of life has a place for every human being. Each is to improve his talents to the utmost; and faithfulness in doing this, be the gifts few or many, entitles one to honor. In God’s plan there is no place for selfish rivalry. Those who measure themselves by themselves, and compare themselves among themselves, are not wise (2 Corinthians 10:12). Whatever we do is to be done “as of the ability which God giveth” (1 Peter 4:11)…. In every generation and in every land the true foundation and pattern for character building have been the same. The divine law, “Thou shalt love the Lord thy God with all thy heart …; and thy neighbour as thyself” (Luke 10:27), the great principle made manifest in the character and life of our Saviour, is the only secure foundation and the only sure guide…. It is as true now as when the words were spoken to Israel of obedience to His commandments: “This is your wisdom and your understanding in the sight of the nations” (Deuteronomy 4:6). Here is the only safeguard for individual integrity, for the purity of the home, the well-being of society, or the stability of the nation. Amidst all life’s perplexities and dangers and conflicting claims the one safe and sure rule is to do what God says. 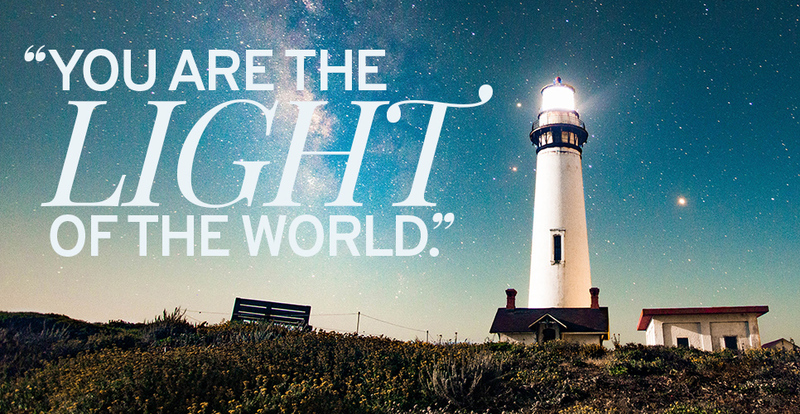 Ye are the light of the world. Matthew 5:14. “Ye are the light of the world.” The Jews thought to confine the benefits of salvation to their own nation; but Christ showed them that salvation is like the sunshine. It belongs to the whole world. The religion of the Bible is not to be confined between the covers of a book, nor within the walls of a church. It is not to be brought out occasionally for our own benefit, and then to be carefully laid aside again. It is to sanctify the daily life, to manifest itself in every business transaction and in all our social relations. True character is not shaped from without, and put on; it radiates from within. If we wish to direct others in the path of righteousness, the principles of righteousness must be enshrined in our own hearts. Our profession of faith may proclaim the theory of religion, but it is our practical piety that holds forth the word of truth. The consistent life, the holy conversation, the unswerving integrity, the active, benevolent spirit, the godly example—these are the mediums through which light is conveyed to the world. As the sun goes forth on its errand of love, dispelling the shades of night and awakening the world to life, so the followers of Christ are to go forth on their mission, diffusing the light of heaven upon those who are in the darkness of error and sin. In the brilliant light of the morning, the towns and villages upon the surrounding hills stood forth clearly, making an attractive feature of the scene. Pointing to them, Jesus said, “A city set on a hill cannot be hid.” And He added, “Neither do men light a lamp, and put it under the bushel, but on the stand; and it shineth unto all that are in the house” (Matthew 5:14, 15, R.V.). Most of those who listened to the words of Jesus were peasants and fishermen whose lowly dwellings contained but one room, in which the single lamp on its stand shone to all in the house. Even so, said Jesus, “Let your light so shine before men, that they may see your good works, and glorify your Father which is in heaven” (verse 16). No other light ever has shone or ever will shine upon fallen man save that which emanates from Christ. Jesus, the Saviour, is the only light that can illuminate the darkness of a world lying in sin. Of Christ it is written, “In him was life; and the life was the light of men” (John 1:4). It was by receiving of His life that His disciples could become light bearers. The life of Christ in the soul, His love revealed in the character, would make them the light of the world. Let us not be weary in well doing: for in due season we shall reap, if we faint not. Galatians 6:9. Again and again I am instructed to charge our people with their individual responsibility to work, and believe, and pray. The reception of Bible truth will lead to continual self-denial; for self-indulgence can never be found in a Christlike experience. Truly converted men and women will reveal the cross of Calvary in their daily actions. There are many Seventh-day Adventists who do not understand that to accept the cause of Christ means to accept His cross. 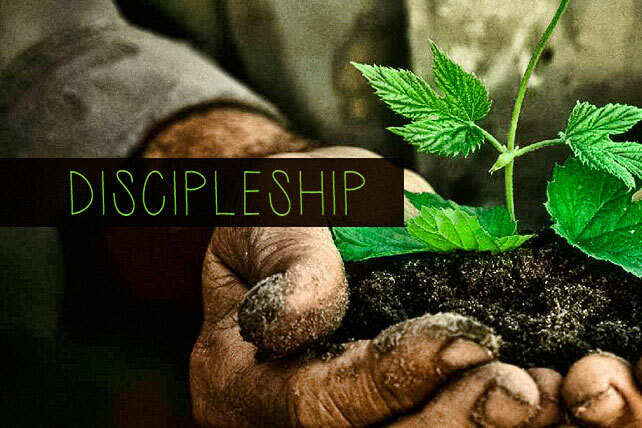 The only evidence they give in their lives of their discipleship is in the name they bear. But the true Christian regards his stewardship as a sacred thing. He perseveringly studies the Word, and yields up his life to the service of Christ. “Good works” will begin to appear when the experience of repentance and conversion is brought into the life…. It is … by showing that we are changed in character, through a belief of the truth, that we make known to others the transforming power of the grace of God. “Let him that is taught in the word communicate unto him that teacheth in all good things. 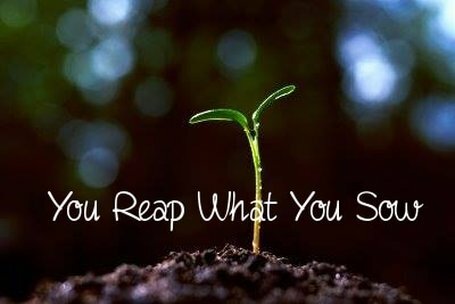 Be not deceived; God is not mocked: for whatsoever a man soweth, that shall he also reap” (Galatians 6:6, 7). Wonderful truth! This is a two-edged sword which cuts both ways. This life and death question is before the whole human race. The choice we make in this life will be our choice through all eternity. We shall receive either eternal life or eternal death. There is no middle ground, no second probation. We are called upon to overcome in this life as Christ overcame. Heaven has provided us with abundant opportunities and privileges, so that we may overcome as Christ overcame, and sit down with Him on His throne. But in order to be overcomers, there must be in our lives no petting of fleshly inclinations. All selfishness must be cut out by the roots…. The servant of the Lord must not strive; but be gentle unto all men, apt to teach, patient. 2 Timothy 2:24. Those who are truly connected with God will not be at variance with one another. The spirit of harmony, peace, and love, His Spirit ruling in their hearts, will create harmony, love, and unity. The opposite of this works in the children of Satan; there is with them a continual contradiction. Strife and envy and jealousy are the ruling elements. The characteristic of the Christian is the meekness of Christ. Benevolence, kindness, mercy, and love originate from Infinite Wisdom, while the opposite is the unholy fruit of a heart that is not in harmony with Jesus Christ…. What a work is this—the education of children! … If the parents had studied more of Christ and less of the world, if they had cared less to imitate the customs and fashions of the present age, and devoted time and painstaking effort to mold the minds and characters of their children after the divine Model, then they could send them forth with moral integrity to be carried forward in the branches of education to qualify them for any position of trust…. The harvest is ours, to reap that which we have sown. If you sow distrust, envy, jealousy, self-love, bitterness of thought and feelings, this harvest you will be sure to reap. This will be a sowing of dragon’s teeth to reap the same. If you manifest kindness, love, tender thoughtfulness to your students, you will reap the same in return. If teachers are severe, critical, overbearing, not sensitive of others’ feelings, they will receive the same in return. A man who wishes to preserve his self-respect and dignity must be careful not to sacrifice the respect and dignity of others. This rule should be sacredly observed toward the dullest, the youngest, and most blundering scholars. What God will do with these apparently uninteresting youth, you do not know. God has accepted and chosen, in the past, just such specimens to do a great work for Him. His Spirit, operating upon the heart, has acted like an electric battery, arousing the apparently benumbed faculties to vigorous and persevering action. The Lord saw in these rough, uninteresting, unhewn stones precious metal that will endure the test of storm and tempest and the fiery ordeal of heat. God seeth not as man seeth; God judgeth not as man judgeth—He searcheth the heart…. The younger members of the Lord’s family shall be impressed that they are created in the image of their Maker, and that their spirit must represent the spirit of Christ. And thou, Solomon my son, know thou the God of thy father, and serve him with a perfect heart and with a willing mind: for the Lord searcheth all hearts and understandeth all the imaginations of the thoughts: if thou seek him, he will be found of thee. 1 Chronicles 28:9. You should keep off from Satan’s enchanted ground and not allow your minds to be swayed from allegiance to God. Through Christ, you may and should be happy and should acquire habits of self-control. Even your thoughts must be brought into subjection to the will of God and your feelings under the control of reason and religion. Your imagination was not given you to be allowed to run riot and have its own way without any effort at restraint or discipline. If the thoughts are wrong the feelings will be wrong, and the thoughts and feelings combined make up the moral character. When you decide that as Christians you are not required to restrain your thoughts and feelings, you are brought under the influence of evil angels and invite their presence and their control. If you yield to your impressions and allow your thoughts to run in a channel of suspicion, doubt, and repining you will be among the most unhappy of mortals…. Man has been placed in a world of sorrow, care, and perplexity. He is placed here to be tested and proved, as were Adam and Eve, that he may develop a right character and bring harmony out of discord and confusion. There is much for us to do that is essential to our own happiness and that of others. And there is much for us to enjoy. Through Christ we are brought into connection with God. His mercies place us under continual obligation; feeling unworthy of His favors, we are to appreciate even the least of them. For all that you have and are, … you are indebted to God. He has given you powers that, to a certain extent, are similar to those which He Himself possesses; and you should labor earnestly to develop these powers, not to please and exalt self, but to glorify Him…. This earth is the Lord’s. Here it may be seen that nature, animate and inanimate, obeys His will. God created man a superior being; he alone is formed in the image of God and is capable of partaking of the divine nature, of cooperating with his Creator and executing His plans…. How wonderfully, with what marvelous beauty, has everything in nature been fashioned. Everywhere we see the perfect works of the great Master Artist. The heavens declare His glory; and the earth, which is formed for the happiness of man, speaks to us of His matchless love…. I call your attention to these blessings from the bounteous hand of God. Let the fresh glories of each new morning awaken praise in your hearts for these tokens of His loving care. To make an apt answer is a joy to a man, and a word in season, how good it is! Proverbs 15:23, R.S.V. “A word spoken in due season, how good is it!” (K.J.V.). Souls are perishing for the lack of personal labor…. The bright and cheerful side of religion will be represented by all who are daily consecrated to God. We should not dishonor our Lord by a mournful relation of trials that appear grievous. All trials that are received as educators will produce joy. The whole religious life will be uplifting, elevating, ennobling, fragrant with good words and works…. [God] desires every soul to triumph in the keeping power of the Redeemer. We must gather about the cross. Christ and Him crucified must be the theme of contemplation, of conversation, and of our most joyful emotion. We should have special praise services for the purpose of keeping fresh in our thoughts everything that we receive from God, and of expressing our gratitude for His great love, and our willingness to trust everything to the Hand that was nailed to the cross for us…. We should learn to talk the language of Canaan, to sing the songs of Zion. By the mystery and glory of the cross we can estimate the value of man, and then we shall see and feel the importance of working for our fellow men, that they may be exalted to the throne of God. Woe unto the world because of offences! for it must needs be that offences come; but woe to that man by whom the offence cometh! Matthew 18:7. Words of reproach react on one’s own soul. The training of the tongue should begin with ourselves personally. Let us speak evil of no man. There may be cherished by us certain wrong things that are seemingly as dear as a hand or a foot. These things are to be put away from us forever. Never are our peculiar, unsanctified ideas to be pressed upon others…. Those who have indulged in words of complaint and criticism shall … pledge that henceforth, by the Lord’s help, they will not speak evil of their brethren and sisters, but will take everything to God in prayer, and follow out the instruction He has given regarding the pointing out of wrongs in our fellow men. Every church member may in his daily conduct be so exemplary, so prudent and careful in speech, so kind and compassionate, that he will be esteemed by all as one who fears and loves God. Such a man will have an influence for good over all his associates. We are fallible, and have erred many times. Let us return to the Lord with repentance and confession. As we assemble to participate in the ordinances of the Lord’s house, let us make every wrong right, so far as lies in our power. When bowing before a brother, washing his feet, ask yourself, “Have I aught in my heart that separates me from this brother? Have I said or done anything that estranges us?” If so, take it away by heartily confessing your sin. Thus heart will be cemented to heart, and the blessing of God will be manifest. “‘Rise up in the presence of the aged, show respect for the elderly and revere your God. I am the Lord.’” Leviticus 19:32, N.I.V. The history of John affords a striking illustration of the way in which God can use aged workers. When John was exiled to the Isle of Patmos, there were many who thought him to be past service, an old and broken reed, ready to fall at any time. But the Lord saw fit to use him still. Though banished from the scenes of his former labour, he did not cease to bear witness to the truth. Even in Patmos, he made friends and converts. His was a message of joy, proclaiming a risen Saviour who on high was interceding for His people until He should return to take them to Himself. And it was after John had grown old in the service of his Lord that he received more communications from heaven than he had received during all the former years of his life. The most tender regard should be cherished for those whose life interest has been bound up with the work of God. These aged workers have stood faithful amid storm and trial. They may have infirmities, but they still possess talents that qualify them to stand in their place in God’s cause. Though worn, and unable to bear the heavier burdens that younger men can and should carry, the counsel they can give is of the highest value. They may have made mistakes, but from their failures, they have learned to avoid errors and dangers… They have borne test and trial, and though they have lost some of their vigors, the Lord does not lay them aside. He gives them special grace and wisdom. Those who have served their Master when the work went hard, who endured poverty and remained faithful when there were few to stand for truth, are to be honoured and respected… Let the younger men realize that in having such workers among them they are highly favoured. Let them give them an honoured place in their councils. 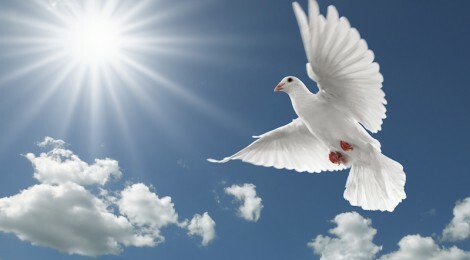 As those who have spent their lives in the service of Christ draw near to the close of their earthly ministry, they will be impressed by the Holy Spirit to recount the experiences they have had in connection with the work of God. The record of His wonderful dealings with His people, of His great goodness in delivering them from trial, should be repeated to those newly come to the faith. God desires the old and tried labourers to stand in their place, doing their part to save men and women from being swept downward by the mighty current of evil. He desires them to keep the armour on till He bids them lay it down. Peace I leave with you, my peace I give unto you: not as the world giveth, give I unto you. Let not your heart be troubled, neither let it be afraid. John 14:27. He left them the peace which had been His during His life on the earth, which had been with Him amidst poverty, buffeting, and persecution, and which was to be with Him during His agony in Gethsemane and on the cruel cross. The heart that is in harmony with God is a partaker of the peace of heaven and will diffuse its blessed influence all around. The spirit of peace will rest like dew upon hearts weary and troubled with worldly strife. Come unto me, all ye that labour and are heavy laden, and I will give you rest. Take my yoke upon you, and learn of me; … and ye shall find rest unto your souls. Matthew 11:28, 29. No work can equal that of the Christian mother. She takes up her work with a sense of what it is to bring up her children in the nurture and admonition of the Lord. How often will she feel her burden’s weight heavier than she can bear; and then how precious the privilege of taking it all to her sympathizing Saviour in prayer. She may lay her burden at His feet, and find in His presence a strength that will sustain her, and give her cheerfulness, hope, courage, and wisdom in the most trying hours. How sweet to the care-worn mother is the consciousness of such a Friend in all her difficulties? If mothers would go to Christ more frequently and trust Him more fully, their burdens would be easier, and they would find rest to their souls. Jesus is a lover of children. The important responsibility of training her children should not rest alone upon the mother… The father should encourage and sustain the mother in her work of care by his cheerful looks and kind words… Her children must have her time and attention… This training of children to meet the Bible standard will require time, perseverance, and prayer. This should be attended to if some things about the house are neglected. Many times in the day is the cry of Mother, Mother, heard, first from one little-troubled voice and then another. In answer to the cry, a mother must turn here and there to attend to their demands… A word of approval will bring sunshine to the heart for hours. Many precious beams of light and gladness can the mother shed here and there among her precious little ones. How closely can she bind those dear ones to her heart, that her presence will be to them the sunniest place in the world. But frequently the patience of the mother is taxed with these numerous little trials, that seem scarcely worth attention… She almost forgets herself time and again, but a silent prayer to her pitying Redeemer calms her nerves, and she is enabled to hold the reins of self-control with quiet dignity. She speaks with a calm voice, but it has cost her an effort to restrain harsh words and subdue angry feelings, which, if expressed, would have destroyed her influence, which it would have taken time to regain… As the parents wish God to deal with them, so should they deal with their children. Children, obey your parents in the Lord: for this is right. Ephesians 6:1. Let children be shown that true reverence is revealed by obedience. God has commanded nothing that is unessential, and there is no other way of manifesting reverence so pleasing to Him as by obedience to that which He has spoken. Her children arise up, and call her blessed; her husband also, and he praiseth her. Proverbs 31:28. It is true that the wheels of domestic machinery will not always run smoothly; there is much to try the patience and tax the strength. But while mothers are not responsible for circumstances over which they have no control, it is useless to deny that circumstances make a great difference with mothers in their lifework. But their condemnation is when circumstances are allowed to rule and to subvert their principle, when they grow tired and unfaithful to their high trust, and neglect their known duty. [The true wife and mother] will perform her duties with dignity and cheerfulness, not considering that it is degrading to do with her own hands whatever is necessary for her to do in a well-ordered household. If she looks to God for her strength and comfort, and in His wisdom and fear seeks to do her daily duty, she will bind her husband to her heart, and see her children coming to maturity, honorable men and women, having moral stamina to follow the example of their mother. Mothers, you are developing character. Your compassionate Redeemer is watching you in love and sympathy, ready to hear your prayers, and render you the assistance which you need in your lifework. Love, joy, peace, long-suffering, gentleness, faith, and charity are the elements of the Christlike character. These precious graces are the fruits of the Spirit. They are the Christian’s crown and shield. The highest daydreaming and most exalted aspirations can aim at nothing higher. Nothing can give more perfect content and satisfaction. These heavenly attainments are not dependent upon circumstances, nor the will or imperfect judgment of man. The precious Saviour, who understands our heart struggles and the weaknesses of our natures, pities, and forgives us our errors, and bestows upon us the graces which we earnestly desire. And, ye fathers, provoke not your children to wrath: but bring them up in the nurture and admonition of the Lord. Ephesians 6:4. Upon returning home from his business he should find it a pleasant change to spend some time with his children. He may take them into the garden, and show them the opening buds, and the varied tints of the blooming flowers. Through such mediums, he may give them the most important lessons concerning the Creator, by opening before them the great book of nature, where the love of God is expressed in every tree, and flower, and blade of grass. He may impress upon their minds the fact that if God cares so much about the trees and flowers, He will care much more about the creatures formed in His image. He may lead them early to understand that God wants children to be lovely, not with artificial adornment, but with the beauty of character, the charms of kindness and affection, which will make their hearts bound with joy and happiness. Parents may do much to connect their children with God by encouraging them to love the things of nature which He has given them and to recognize the hand of the Giver in all they receive. The soil of the heart may thus early be prepared for casting in the precious seeds of truth, which in due time will spring up and bear a rich harvest. Fathers, the golden hours which you might spend in getting a thorough knowledge of the temperament and character of your children, and the best methods of dealing with their young minds, are … precious.—The Signs of the Times, December 6, 1877. The father’s duty to his children should be one of his first interests. It should not be set aside for the sake of acquiring a fortune, or of gaining a high position in the world. In fact, those very conditions of affluence and honor frequently separate a man from his family and cut off his influence from them more than anything else. If the father would have his children develop harmonious characters, and be an honor to him and a blessing to the world, he has a special work to do. The Lord is exalted, for he dwells on high… He will be the sure foundation for your times, a rich store of salvation and wisdom and knowledge; the fear of the Lord is the key to this treasure. Isaiah 33:5, 6, N.I.V. Guard your children against every objectionable influence possible; for in childhood they are more ready to receive impressions, either of moral dignity, purity, and loveliness of character, or of selfishness, impurity, and disobedience. Once let them become influenced by the spirit of murmuring, pride, vanity, and impurity, and the taint may be as indelible as life itself. “It is because the home training is defective that the youth are so unwilling to submit to proper authority. I am a mother; I know whereof I speak when I say that youth and children are not only safer but happier under wholesome restraint than when following their own inclination.”—The Adventist Home, 469, 470. It should be the object of every parent to secure to his child a well-balanced, symmetrical character. This is a work of no small magnitude and importance—a work requiring earnest thought and prayer no less than patient, persevering effort. A right foundation must be laid, a framework, strong and firm, erected, and then day by day the work of building, polishing, perfecting must go forward.—Counsels to Parents, Teachers, and Students, 107. The physical, mental, and spiritual capabilities should be developed in order to form a properly balanced character. Children should be watched, guarded, and disciplined in order to successfully accomplish this. It requires skill and patient effort to mold the young in the right manner. Certain evil tendencies are to be carefully restrained and tenderly rebuked; the mind is to be stimulated in favor of the right. The child should be encouraged in attempting to govern self, and all this is to be done judiciously, or the purpose desired is frustrated.